By all accounts, the Tesla Model S is a fantastic engineering accomplishment and also great to drive. And now Tesla is looking to expand to cooler, snowier climates with the addition of a Model S with all-wheel drive. Watch out, basically everybody. 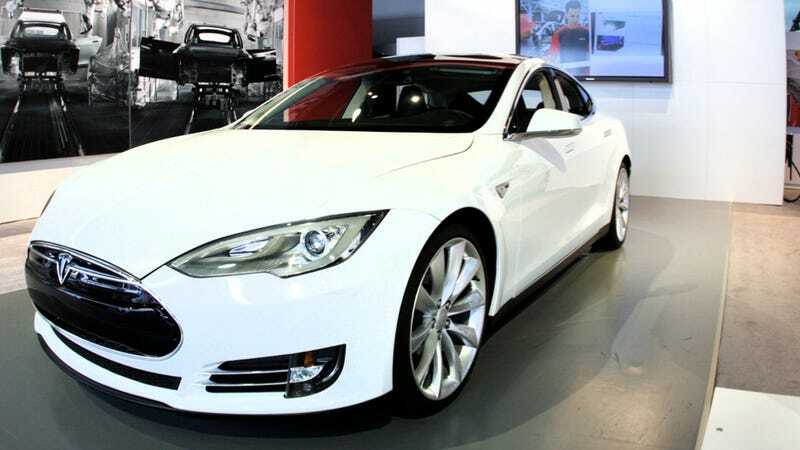 According to The Verge, the all-wheel drive Model S is rumored to start production with an ultra-premium high performance model in 2014. An AWD Model S makes sense since Tesla is getting ready to introduce the Model X crossover, so much of the same tech could appear across both cars. It's not clear if the chassis is the same as the Model X, but Musk has mentioned it separately. That leads me to think that it is a different car. All-wheel drive is basically required for everyone on Tesla's class these days. Audi, Mercedes, BMW, Jaguar, and basically everyone has all-wheel drive available across their lineups. It's another necessary step for Tesla to continue to become the mainstream manufacturer that they want to be.